As I explained in my initial post for this series, I’m conducting an experiment in visual display to help people appreciate the role of the nodes as proxy agents. The nodes act on behalf of planets (1) with which they’re associated, (2) by which they’re aspected, (3) whose sidereal sign they occupy, and (4) whose nakshatra they occupy, in descending order of effect. I’ve assigned numeric values for magnitude of effect to generate some topography in the visual display: association gets 8 points, aspect gets 4, dispositorship by sign 2, and dispositorship by nakshatra 1. Readers with better ideas are free to submit suggestions. Please consider this a work in progress. 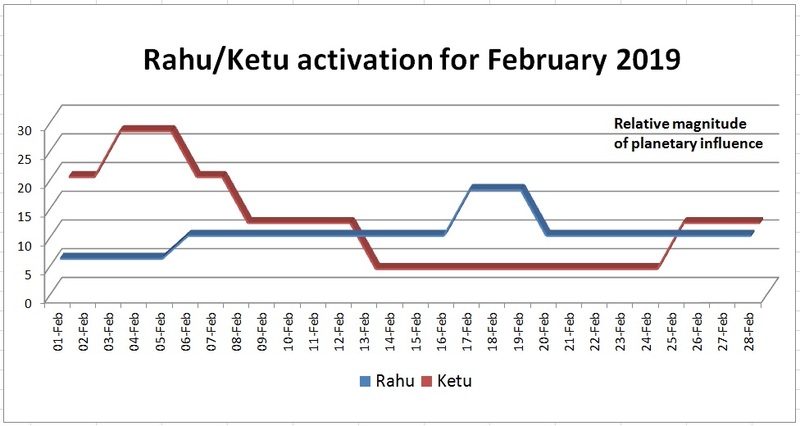 Here’s the logic behind this graph: For the whole of February 2019, Rahu occupies sidereal Cancer ruled by the Moon (2 points), and Punarvasu nakshatra ruled by Jupiter (1 point). Meanwhile, Jupiter in Scorpio aspects Rahu (4 points). 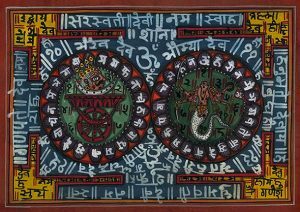 From February 6-28, Mars also aspects Rahu (4 pts). And on February 17-19, the Moon transits Cancer, engaging Rahu by association (8 points). Their collective influence is shown in the blue band for Rahu. Note, this graph reflects magnitude of effect only, with no distinction between benefic vs malefic planets. Hopefully, this “nodal weather report” may evolve into that. Meanwhile, throughout February 2019 Ketu occupies Capricorn ruled by Saturn (2 pts), and Uttara Ashadha ruled by the Sun (1 pt). From February 1-12, the Sun transits the second half of Capricorn, activating Ketu by association (8 pts). Mercury does the same February 1-7 (8 pts). Venus enters Capricorn February 25-28, contacting Ketu by association (8 pts). And Moon transits Capricorn February 3-5, again engaging Ketu by association (8 pts). Their collective influence is shown in the red band for Ketu, again, indicating magnitude of effect only, with no distinction between benefic vs malefic influence. As a general observation, we can say the nodes exert greater power in the first half of February, and that there’ll be a “power surge” in February 3-5, whose effect would be more pronounced for anyone with the ascendant, luminaries or other significant planets in the first navamsa (0deg00-03deg20) of Cancer or Capricorn. Alan Annand studied with Hart de Fouw, and is a graduate of the American College of Vedic Astrology. He’s also a former tutor for the British Faculty of Astrological Studies, and the author of several books. 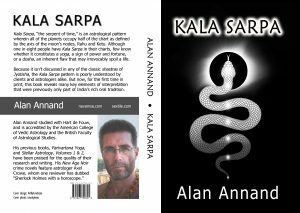 Kala Sarpa is a first-of-its-kind reference book on a unique pattern in jyotish that is not discussed in shastra yet is part of India’s rich oral tradition. Stellar Astrology, Volumes 1 & 2, offer a wealth of time-tested techniques in the form of biographical profiles, analyses of world events, and technical essays. Parivartana Yoga is a reference text for one of the most common yet powerful planetary combinations in jyotish. His Mutual Reception is an expanded companion volume written for western practitioners, covering the same subject of planetary exchange through the lens of traditional astrology.